A disabled man who uses a gaggle of geese as therapy pets is now fighting to keep them. 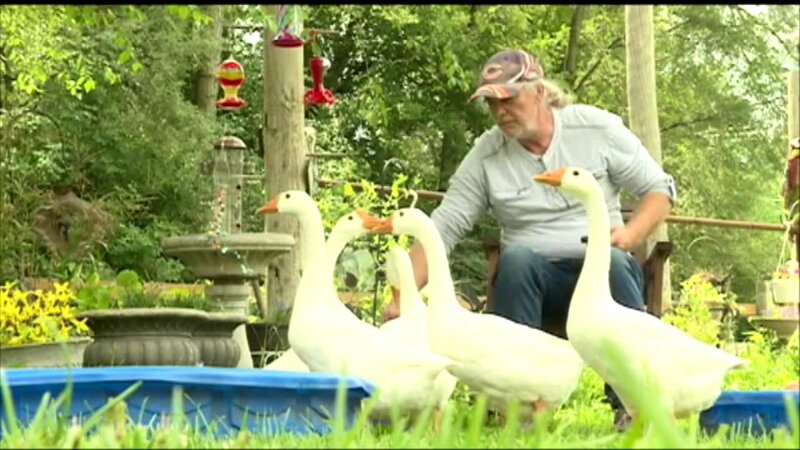 BELOIT, Wis. (WLS) -- A disabled man who uses a gaggle of geese as therapy pets is now fighting to keep them. The Beloit, Wis., man said his pets help him remain active since he has to get up and feed and bathe them. He named them Lucy, Ricky, Fred, Ethel and Mrs. Trumble after his favorite TV show, "I Love Lucy". Despite having a doctor's note, a city ordinance could mean he will have to give them up. He's trying to fight that move with a change.org petition.